We are always looking for interpreters to join our network. 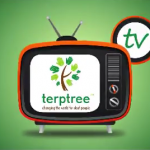 If you are interested in registering with terptree please let us know. We work with some prestigious clients across a variety of locations. We always provide great support to our interpreters. We have a friendly and approachable Customer Loyalty Team and can offer you great support. As well as all of this, we offer regular CPD, which you can get access to upon registering. When you work with the terptree family, you are joining a team of passionate people who want to truly change the world for deaf people. If this sounds like a good fit for you, and you want to know more, or have further discussions then contact us on 01635 886 264 or email us at interpreting@terptree.co.uk. 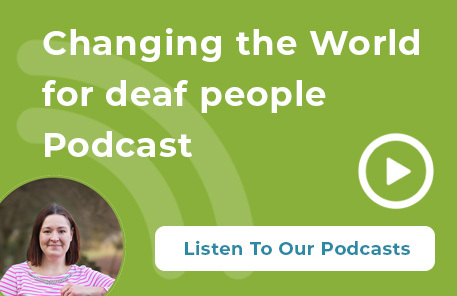 To change the world for deaf people, it is absolutely crucial that Sign Language Interpreters have the ability to maintain continuous professional development and foster a feeling of unity, belief and passion for the profession. This is our comprehensive series of Interpreter Training sessions that take you through all of the industries you work in as a Sign Language Interpreter as well as taking all of the other areas of Sign Language Interpreting such as Ethics, Code of Conduct, your role as an Interpreter and many other key topics surrounding the world of Interpreting. terptree have always provided a very efficient and effective service, often providing interpreters at the last minute. The office staff are keen and diligent in providing the right interpreter for the right job to suit the client’s needs. Preparation material is often sought for the interpreter so that they can provide a more accurate interpretation between the two languages. I have witnessed first hand that terptree goes the extra mile to seek feedback from its clients so that they can continue to improve their excellent service. They always take the time to discuss what their clients need so that they can provide the best possible communication professional. I feel that with companies like terptree around, the future of access to deaf and deafblind people is in safe hands. Well I love terptree! There is always plenty of information regarding each assignment, there is a nice, wide range of domain e.g. education, hospital, council, staff meetings etc, and the turnaround time from initial email to confirmation (or non-acceptance) is very quick. I love working for terptree!! They pay on time, give good details about the jobs as well as a map link, which I think is fab.